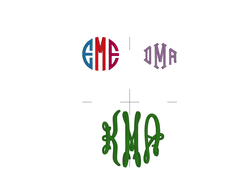 Monogram services available! $5 to monogram an existing customer item. Embroidery services available! 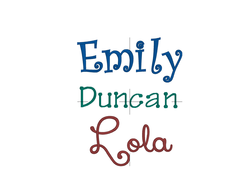 Many fonts & colors available. Appliqued shirts available for $25. Various designs, sizes and colors are available. Easter Baskets - hold up to 3 dozen eggs! 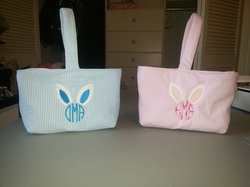 Can be appliqued or embroidered. One side is flannel and the other is cotton to give different textures. 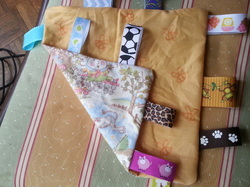 Various ribbons and fabric are available. They can be made specifically for girls, boys or gender neutral. The ribbons are triple stitched in for durability. 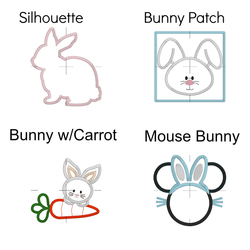 These are great for babies and small dogs! Please do not leave these lovies alone with your baby - especially in a crib. These can be personalized for an extra fee. 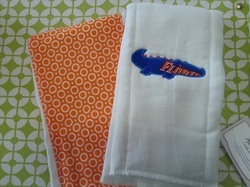 Burp cloths - $8 for 1 or $15 for a set of 2. These make great baby gifts! Wristlet keychains - $5. No more digging for keys! Have them around your wrist or find them easily in your purse. Many colors and styles available! These make terrific teacher gifts.